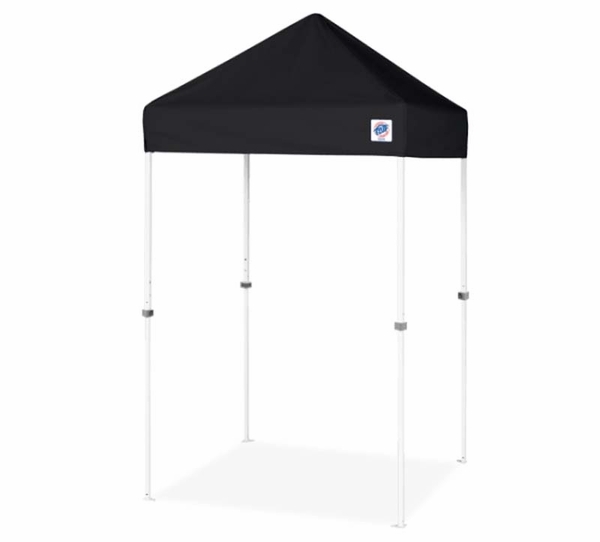 The new VUE 5 x 5 Professional Instant Canopy Shelter with Cover Bag is packed with new features that make it not only a perfect shelter but also a perfect promotional tool. The high-strength steel frame and new Cool Grey Color E-Z Glide Truss Washers allow for maximum stability and durability. You also have the option to customize with printed graphics ranging from simple, one color imprints to full-bleed digital images. And when you are not using it, it folds to 55", allowing for easy storage. It also meets CPAI-84 and NFPA-701 fire resistant requirements, making it a safe choice for a wide range of activities. * Please Note: Video shown is generic and not all features and functions are applicable to all EZ Up models. Please see product manual for more information. * Also Note: This canopy is made-to-order and cannot be canceled or returned once purchased. WARNING: This product can expose you to chemicals including Tris(1,3-dichloro-2-propyl) Phosphate which is known to the State of California to cause cancer. For more information go to www.P65Warnings.ca.gov. Can side walls be bought to go with this canopy? Unfortunately, there are no sidewalls available for this canopy. The total package weight for this canopy is 25 lbs. It's sturdy and takes no time to put up. I think the quality is the difference.